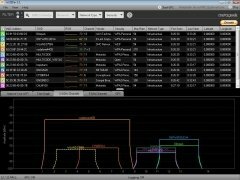 Wi-Fi wireless networks are one of the most comfortable ways possible to access the Internet, specially for those cases in which you aren't at home, because connecting via mobile networks can be very expensive. 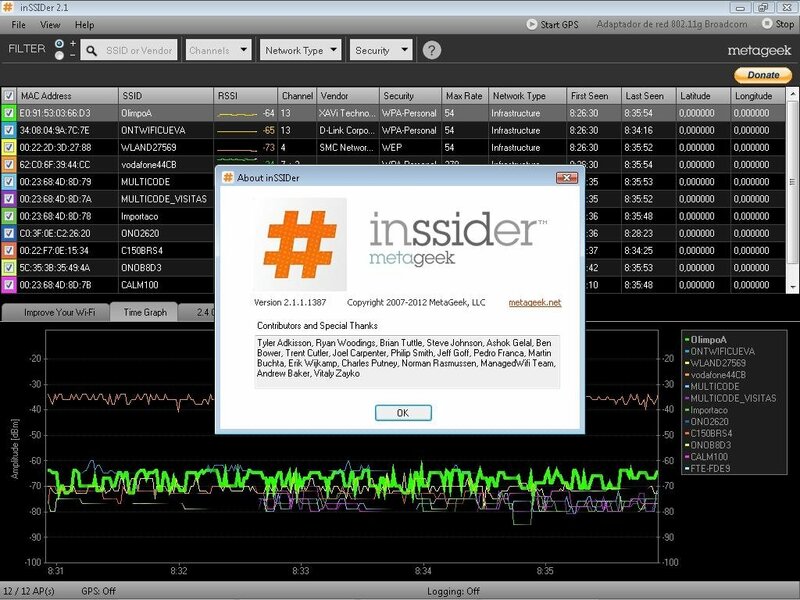 And to detect the best networks available you can use inSSIDer. 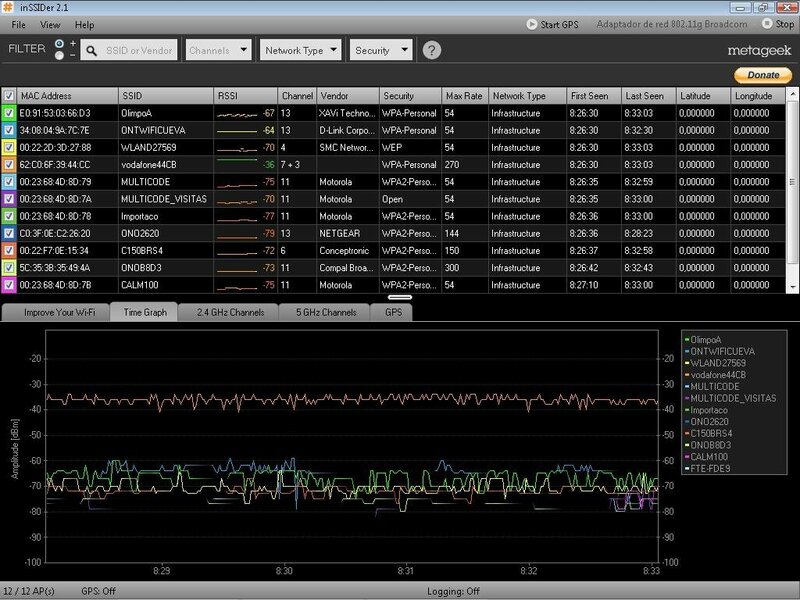 All the Wi-Fi networks within your reach. 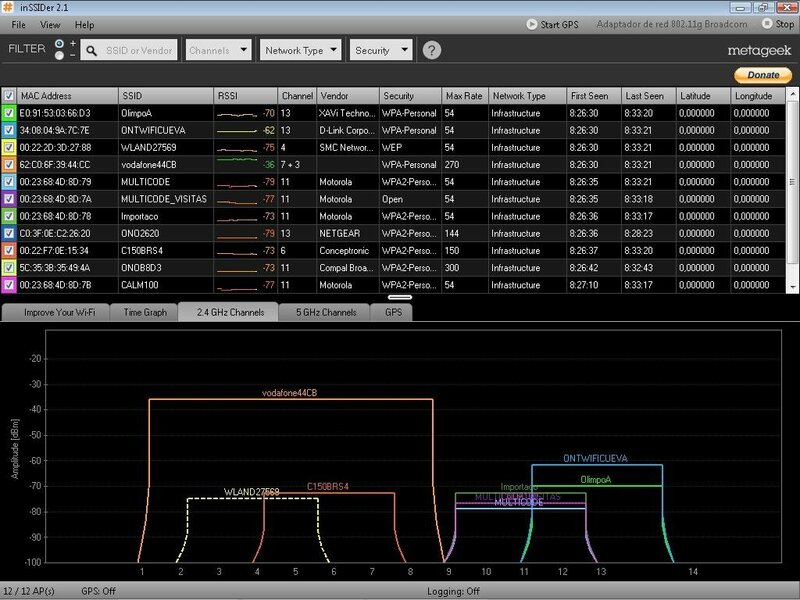 The main purpose of inSSIDer is to locate and measure the power of all the Wi-Fi networks that you can detect with your computer, in such a way that you'll be able to choose which one you should use to connect, because it allows you to compare the power of the signal of each of the networks it detects. 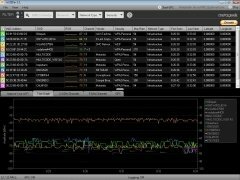 Another of the uses offered by inSSIDer is to offer the possibility to monitor the power of the signal of a Wi-Fi connection during a specific amount of time, something that can help the managers of a network to locate possible signal errors. 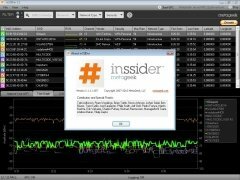 Additionally, inSSIDer is compatible with the vast majority of GPS cards, thus being able to show the location of the wireless networks available. 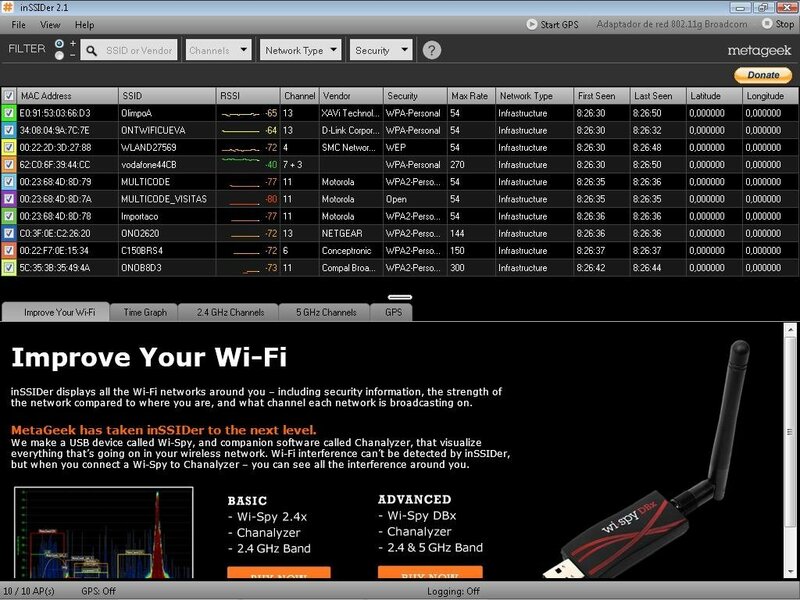 Therefore, if you want to know more data of the Wi-Fi networks that you connect to, you only have to download inSSIDer for free. It's necessary to have a Wi-Fi card to use this application. To use the GPS functions it is necessary to have a GPS card.